The eastern states hold some of the best ski resorts in the United States!! There are tons of resorts up and down the east coast. Those states are Vermont, Main, New Hampshire, New York, Pennsylvania, and West Virginia!! These east coast states hold perfect ski destinations to book your 2012 ski vacation!! Vermont holds New England's best ski resorts. Vermont is known for a having fresh powder snow on all of their many mountains. The scenery is surreal and beautiful. Skiing in Vermont is simply one of a kind! 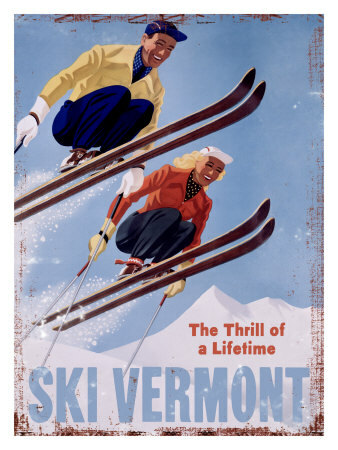 Vermont's list of must ski resorts are: Jay Peak, Killington, Mt. Snow, Sugarbush, Stowe, Smuggler's Notch and Okemo! Maine is known for their quality over quantity!! Maine's ski resorts do not exactly have the largest skiable areas, but guest will see that these resorts incredible. The winter glow from the serene mountains will stun all guest. Maine's list of must ski resorts are: Sugarloaf and Sunday River! The mountains surrounding the White Mountain National Park are majestic. The snowcapped summits of these mountains have been turned into ski lovers' paradise! New Hampshire's list of must ski resorts are: Loon and Waterville Valley Mountain. Loon Mountain Resort has 44trails and year round amenities and activities. Waterville Valley Mountain Resort has 52 trails and on of America's best ski instruction program! This Empire State is not only know for it's urban jungle cities. New York is also home to come of the best snow mountain resorts for all ski and snowboarders! Plus the downtown paradise is not too far away! 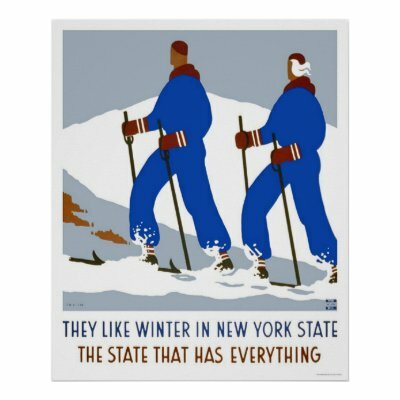 New York's list of must ski resorts are: Lake Placid/Whiteface, Gore Mountain and Hunter Mountain! This is the state that you will find the most laid back, most enjoyable, relaxing ski outings in all of America. Pennsylvania's resorts are no Aspen or Tahoe, but this is Penn State's snowy mountain paradise. There is so much beauty and nature to take in that one visit to Pennsylvania's resort is just not enough. Pennsylvania's list of must ski resorts are: Seven Springs and Sno Mountain! This state holds so much captivating beauty that makes it hard for visitors not to fall in love with West Virginia. Whether you are a skier, snowboarder or a nature lover, the white snow in West Virginia will transform your winter into an unforgettable winter. West Virginia's must ski resort is Snowshoe Ski Resort. Call A Tours de Sport Representative and Book Your East Coast Ski Vacation Today!! Please Contact a Travel Specialist at 888-754-2167! !